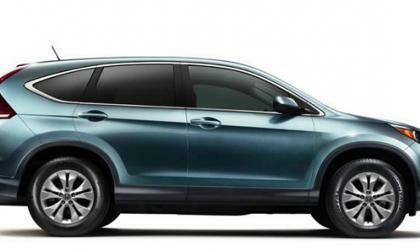 On a recent visit to Santa Cruz Ca., we spent a day in the mountains driving Honda CR-V.. Stiff but! 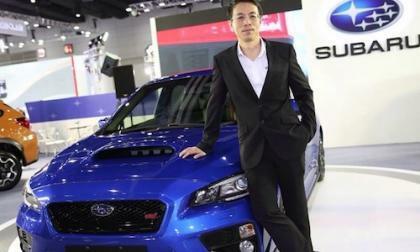 The new-generation 2015 Subaru WRX STI is a global success and now makes its debut in Thailand. 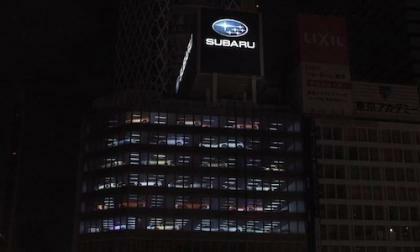 The 2014 Subaru XV Crosstrek was on center stage at the Shinjuku Subaru Building. What’s a rear projection mapping show? 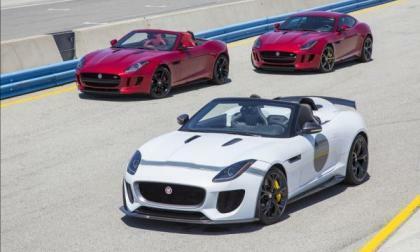 Named in honor of the seven Jaguar wins at Le Mans, the F-Type Project 7 is a road-legal two-seater inspired by the D-Type. 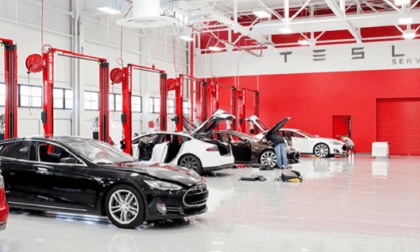 The makers of Model S have been in the news recently for a higher-than-normal rate of total drivetrain replacement, with several highly publicized examples. Tesla has deftly responded by offering a nearly unrivaled warranty. 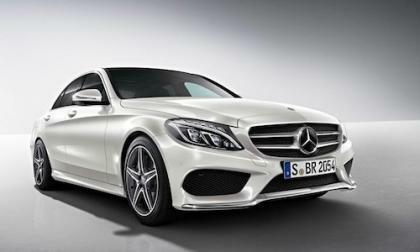 The all-new 2015 Mercedes-Benz C-Class is coming soon. How would you build yours? 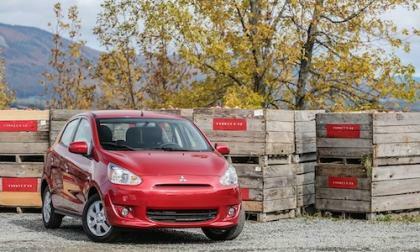 The 2015 Mitsubishi Mirage has been named "the most affordable vehicle shoppers can buy" by Cars.com. What cars did it beat? 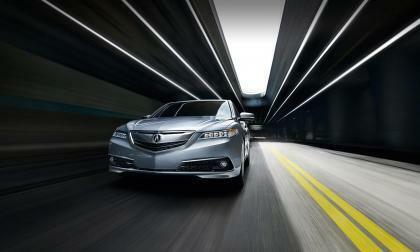 We visited the West’s largest Acura dealership, AutoNation Acura Stevens Creek. According to Internet Sales Manager Chad Cleary, TLX is being positively recieved by Silicon Valley Acura fans, They love it! 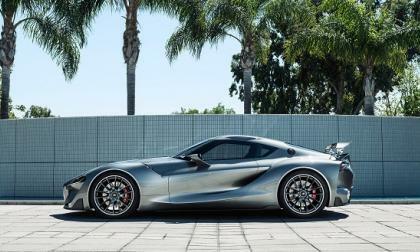 Toyota rolls out a second FT-1. This time, in a color that does not look ridiculous. Maybe the car is for real? 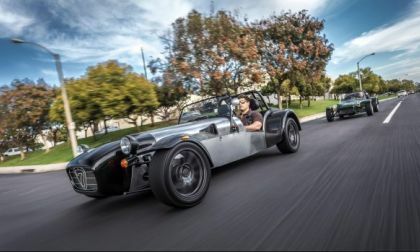 Caterham Cars introduces two new iconic Sevens for the U.S.
Iconic British maker Caterham Cars is introducing two new Seven models for the U.S. market, with a 0-62 time of just 3.4 seconds in open driving beauty. Read more about Caterham Cars introduces two new iconic Sevens for the U.S.
One of the world's most popular racing games, Forza Motorsport 5 for Xbox One, has been adding a host of new cars for virtual driving. 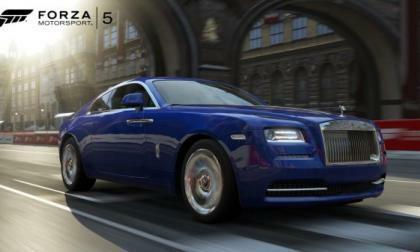 Including this world first appearance of a Rolls-Royce product. 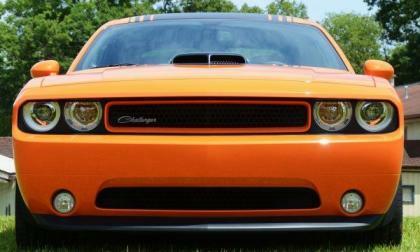 Those folks attending the Mopar display at the 2014 Woodward Dream Cruise will have a chance to not only see some of the hottest new Dodge products – they will also get to drive them and while doing so, they will be entered into a drawing to win $45,000 towards the purchase of a new Chrysler Group product. 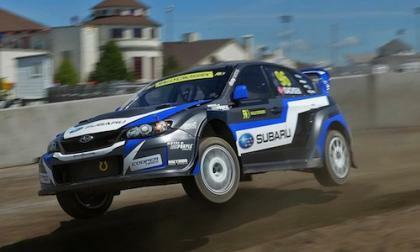 The 2014 Subaru WRX STI GRC cars come with 3 materials that enable them to go faster. What unique materials do they use? GM has backed up its stated commitment to electric vehicles by leading the industry in workplace charging, particularly the solar-powered variety. 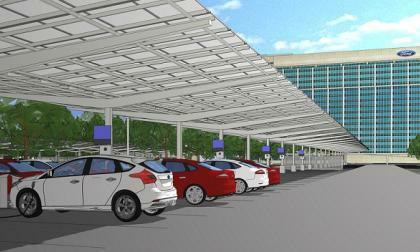 Ford has responded with plans for a solar canopy of epic proportions, partly to charge its own electric vehicles. 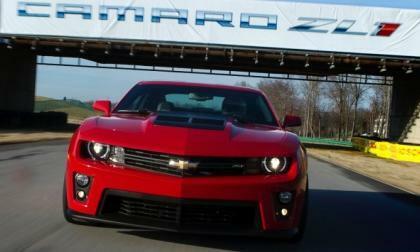 General Motors has announced that to prepare for production of several new models including the 2016 Chevrolet Camaro, the company will invest $174 million dollars in their Lansing Grand River plant to build a new stamping facility on site that will produce components for all of the vehicles build there. Not that fuel cell cars are dead yet - in fact, their life in the hands of regular consumers is only beginning. 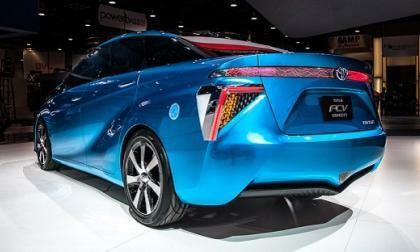 Yet the price of refueling seems to be often overlooked in the debate over the viability of hydrogen vehicles, and Toyota’s initial estimates are not encouraging. 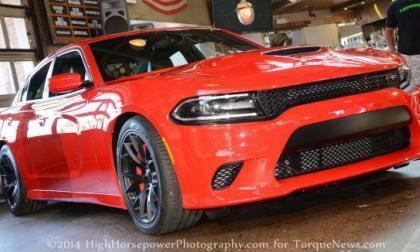 A while back I wrote a piece speculating that the Dodge Charger SRT Hellcat could actually be faster than the Dodge Challenger SRT Hellcat and after getting a fair number of nasty emails and comments about that speculation – I am here to point out that, once again, I was right. 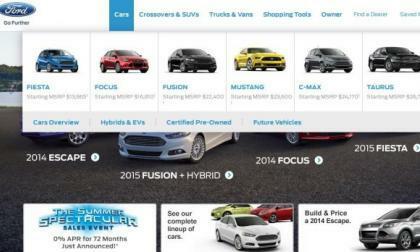 Since late last year, the 2015 Ford Mustang has been listed on Ford.com under Future Vehicles, but in the last 48 hours or so, the 2014 models have been removed from the website and the next generation has been moved to the current vehicle lineup – showing just how close we are to seeing the 2015 Mustang in dealerships and on the road. Subaru Australia is giving 2015 Subaru WRX STI buyers a special treat. 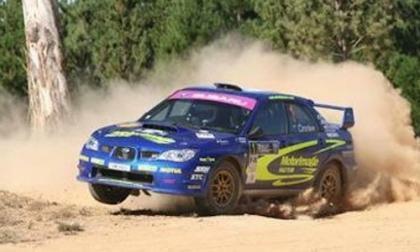 Who is the legendary Australian Rally Champion who will be in Melbourne? 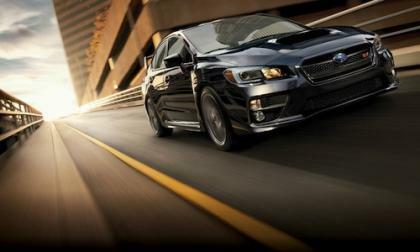 The new 2015 Subaru WRX and 2015 WRX STI interactive online digital brochure arrives for performance fans. 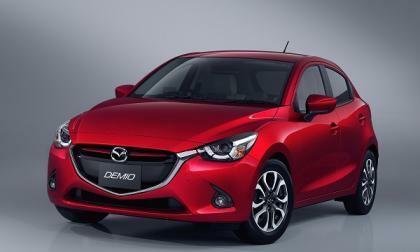 Mazda may be working to bring a diesel electric hybrid vehicle to markets where diesel is priced lower than gasoline. 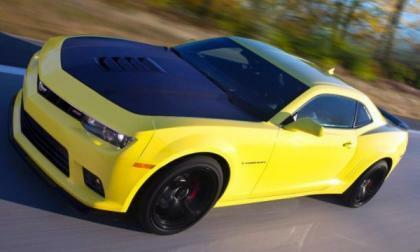 A while back we reported that there would likely not be a 2016 Chevrolet Camaro powered by a turbocharged 4-cylinder after Camaro boss Al Oppenheiser stated that there would not be a 4-cylinder Camaro any time soon – but new reports and insider information now leads us to believe that maybe GM does have a turbo 4 in the works for the 6th gen Camaro. 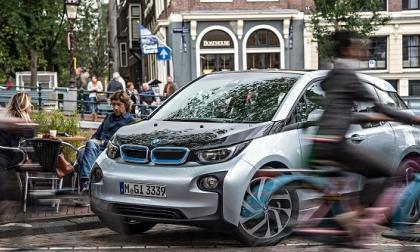 Reports of real-life accidents being avoided by BMW i3 owners are highlighting just how valuable such a system can be. 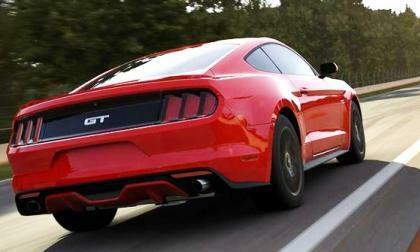 Attention Forza Motorsport 5 gamers who have been eagerly awaiting the opportunity to drive the 2015 Ford Mustang GT in the virtual world – today is your day, as the next generation Mustang has finally come to the industry leading driving simulator for Xbox One. 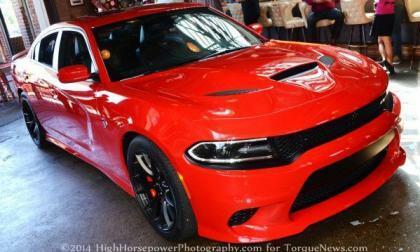 Today in a small restaurant along Detroit’s Woodward Avenue, the 2015 Dodge Charger SRT Hellcat was introduced to a small group of media as the most powerful, the quickest and the fastest sedan in the world – not in the US – in the WORLD. 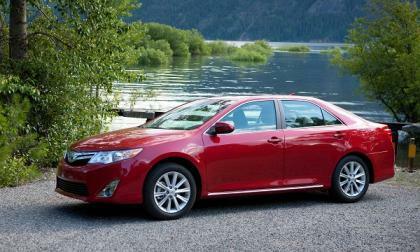 Kelly Blue Book ranks the Toyota Camry the number deal in its class for August. Yamano Tetsuya drove his 2014 Subaru BRZ to a win at the Round 6 of the All Japan Gymkhana. What extreme challenges did he overcome? 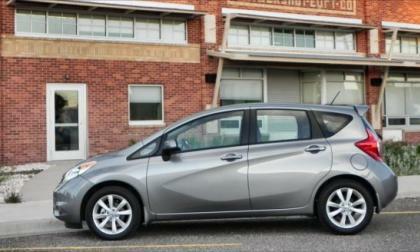 When we asked Nissan for the breakdown of Versa sales, we were surprised to find out that the all-new Versa Note makes up nearly half of those sales figures despite this being its first year on the market. 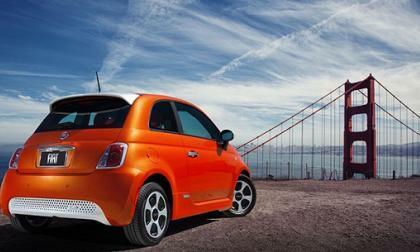 Should income dictate eligibility for electric vehicle rebates? California is considering a new proposal to give higher rebates to lower-income EV buyers and take them away from the wealthy. Torque News attempts to answer the controversial question: should income determine eligibility for EV rebates? Read more about Should income dictate eligibility for electric vehicle rebates? 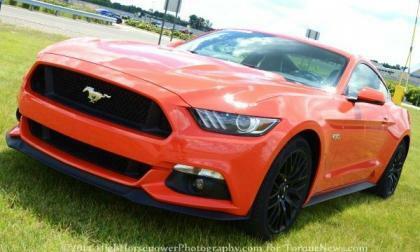 If you are absolutely in love with the 2015 Ford Mustang GT, but you aren’t at a point in your life where you can afford to drop $30k on a new muscle car, the folks at Stanley Black & Decker could make your dream of owning a new Mustang come true – simply by liking their Facebook page and filling out a basic information form.